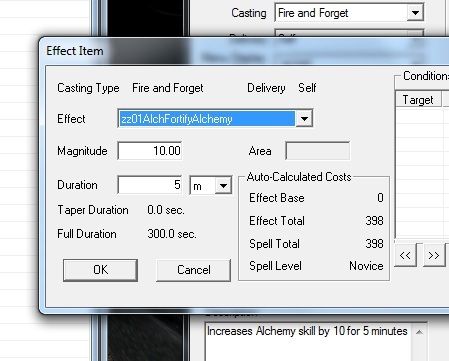 your characters Alchemy by 10 points for 5 minutes a maximum of once a day. you will easily recognize as one of yours. 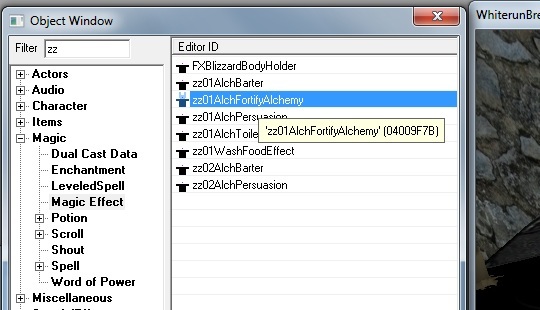 Now press <Enter> twice to create a custom version. 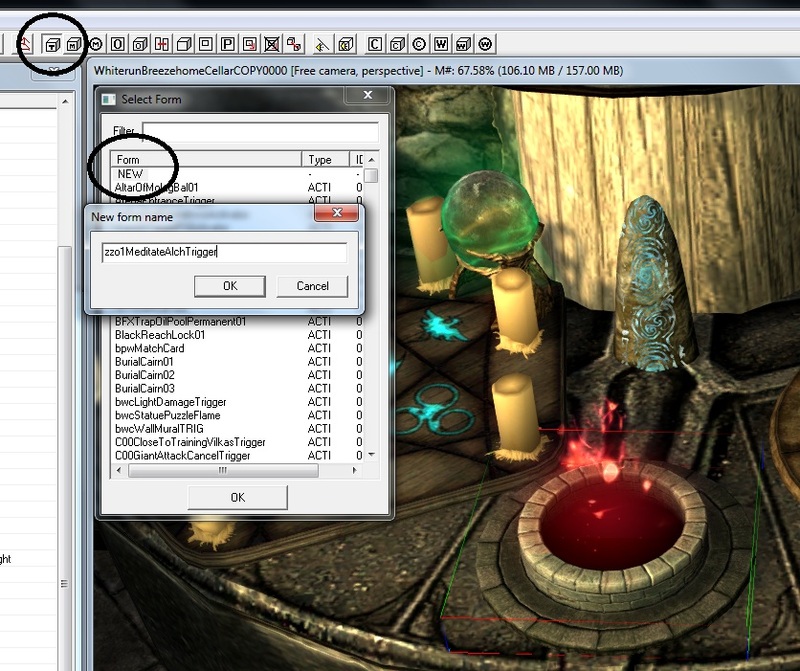 section (just off screen to the left) is where you can change the audio that is played. 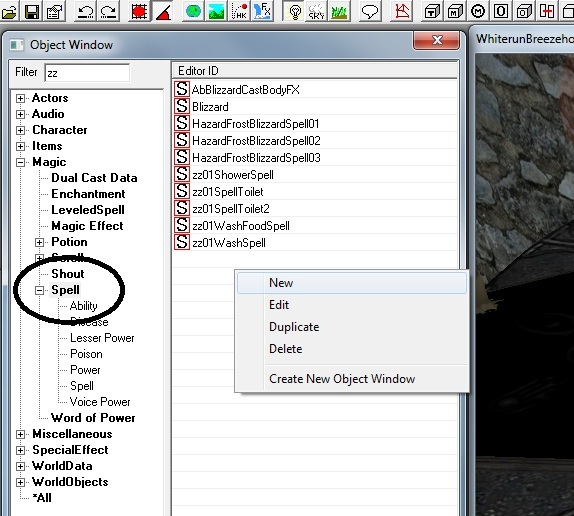 Click OK and now go to <Magic>, <Spell> in the object browser and create a new spell. 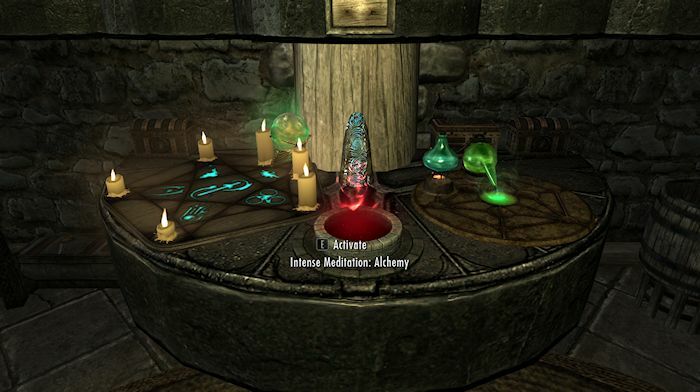 <Ignore Resistance> and give the spell a description which will also be seen in the <Current Effects> menu. 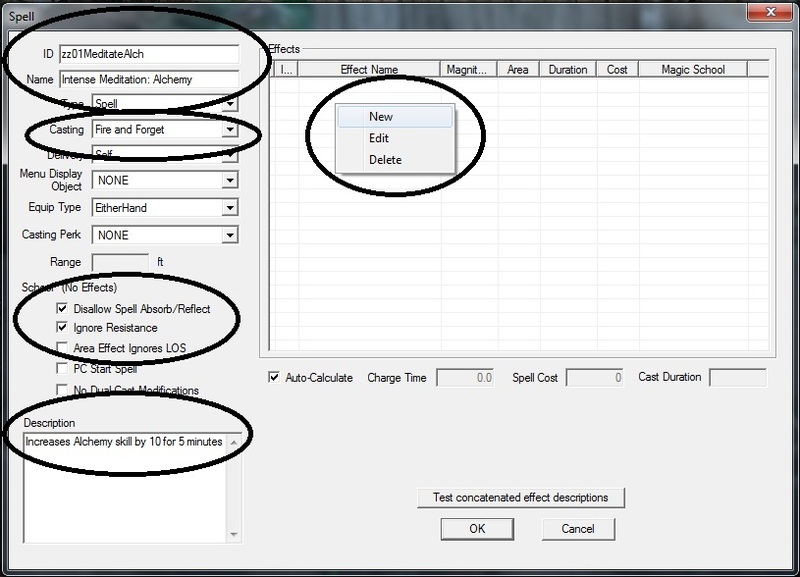 Now in the <Effects> list area right click and create a new effect. 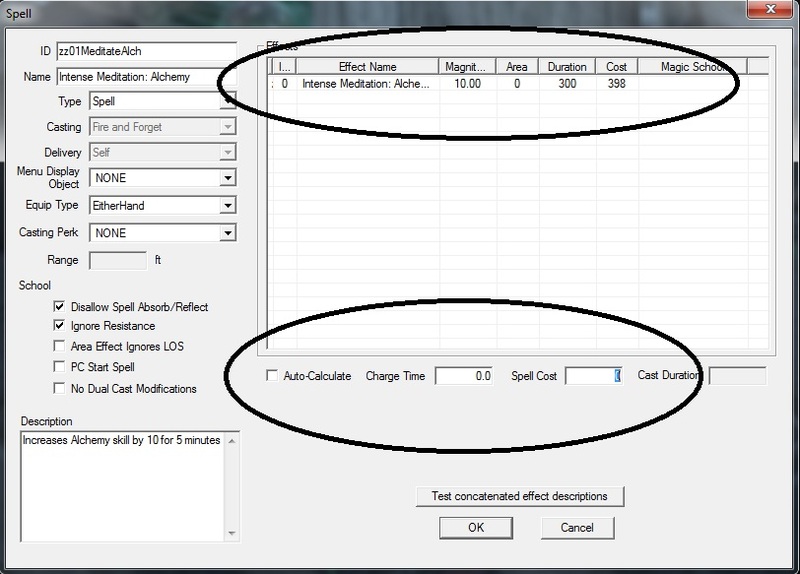 In this window select the <Effect> you created earlier, set the magnitude of the effect and the duration and push OK.
You now have a completed spell and all you need is an activator! 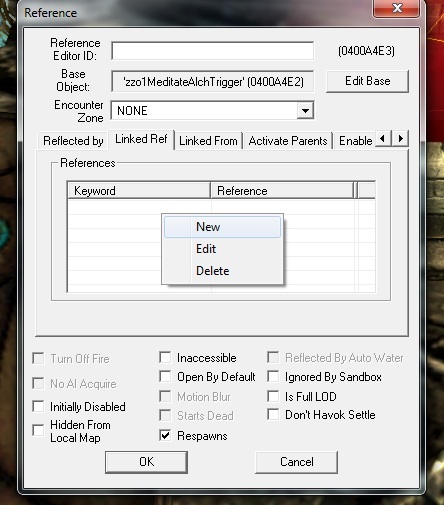 on the main toolbar to create a new trigger. 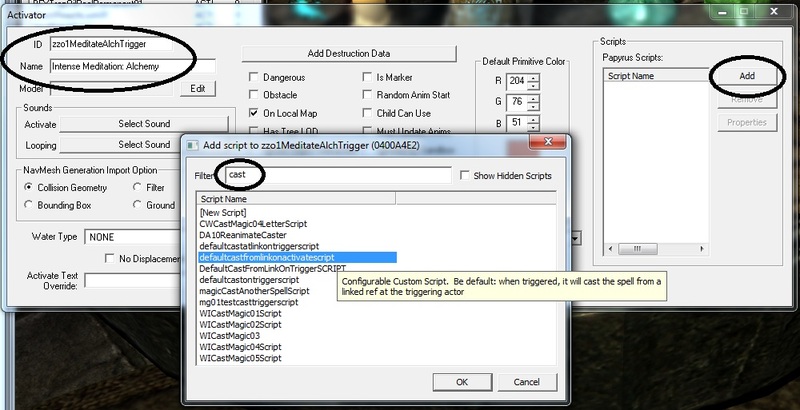 Select the <NEW> option and give the trigger a unique ID. 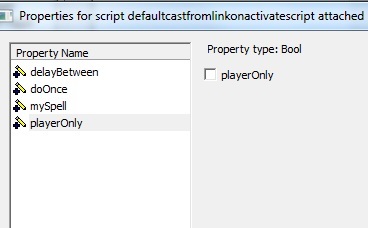 filter box until you can see "defaultcastfromlinkonactivatescript", select it and push OK.
You now have your trigger, but it's flat and square! 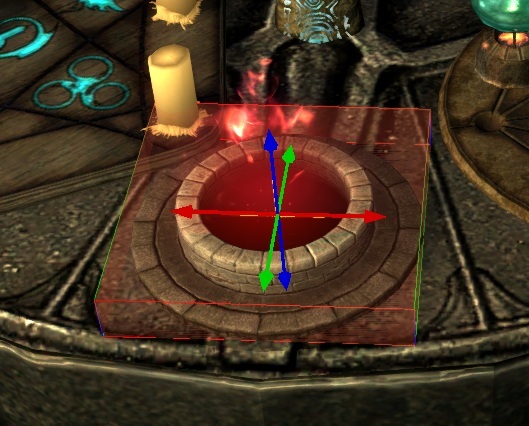 Use the arrows to resize the trigger slightly smaller and hit "E" twice to remove the sizing arrows. 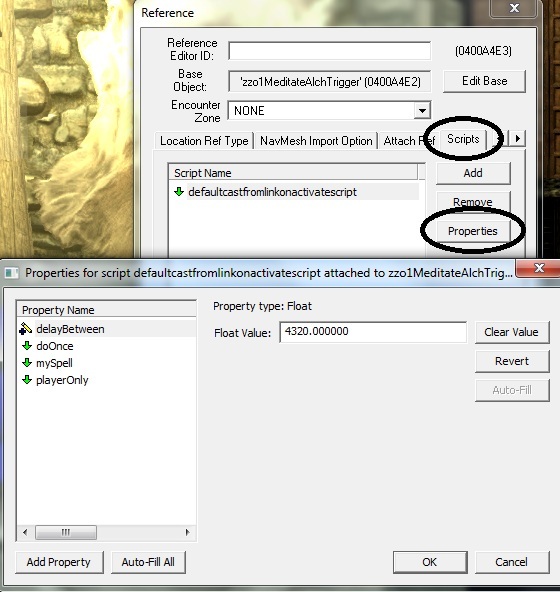 <Primitive Type> to Sphere and check the <Player Activation> option. 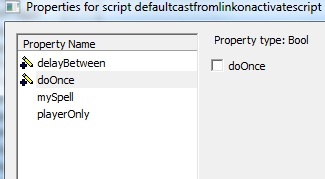 Now go to the <Linked Ref> tab and right click and select <New>. 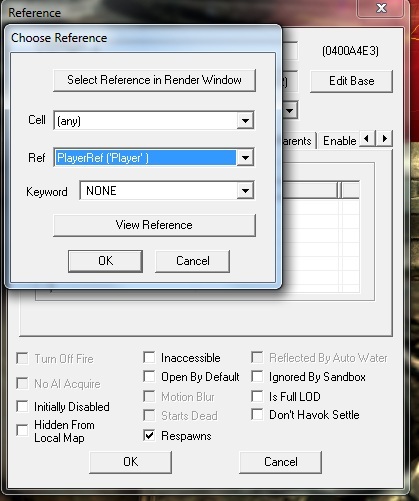 second the player reference will appear in the box. 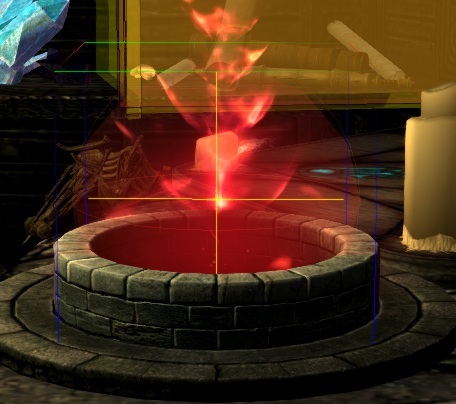 The second property, <doOnce> is to tell the game whether you can only use this trigger once ever. Ensure that this is not checked by default!!! 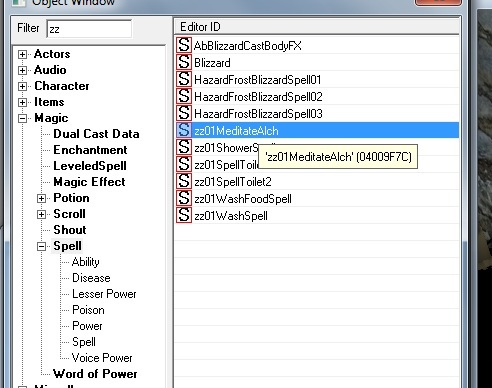 The third property is where you attach you custom spell. 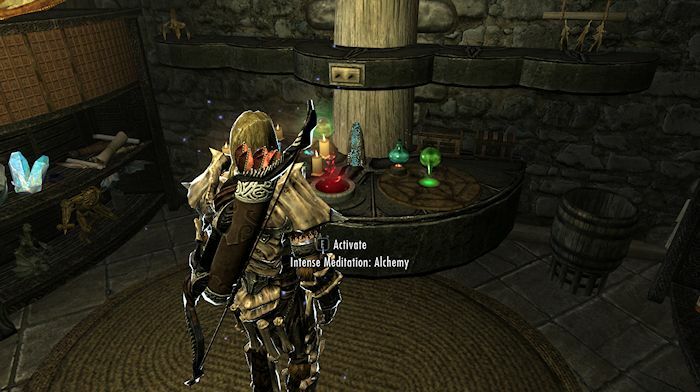 And the last is to check whether only you or any npc can use this trigger. 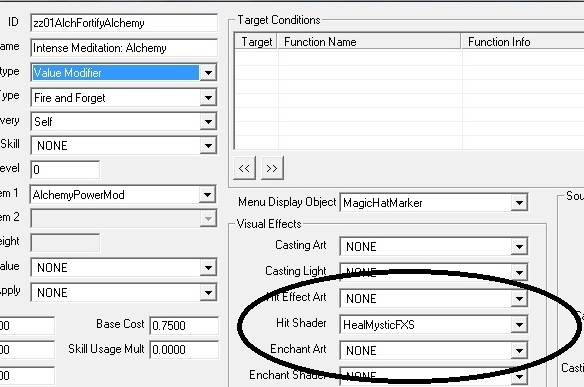 so this option doesn't really matter! trigger! 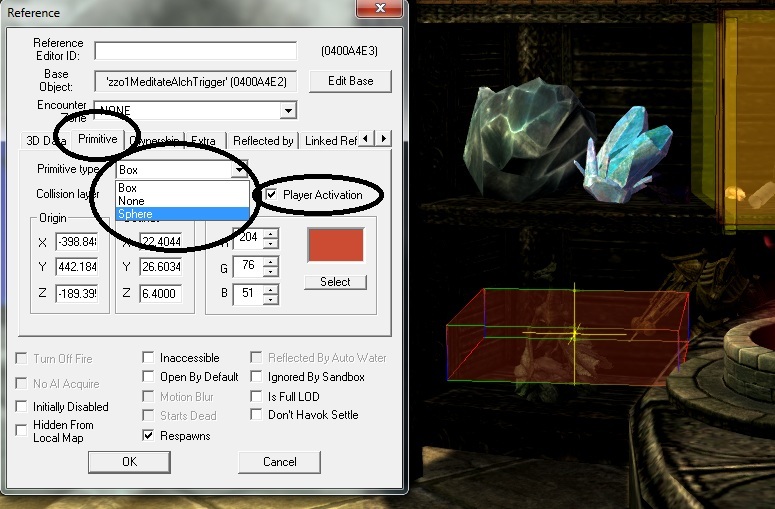 Move the trigger into place above the object you have chosen, save your mod and try it out!! 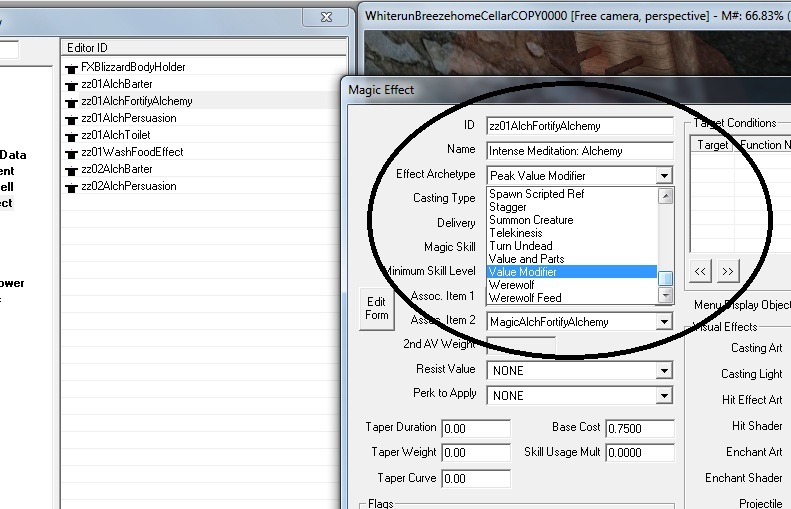 Special FX as you trigger the perk! 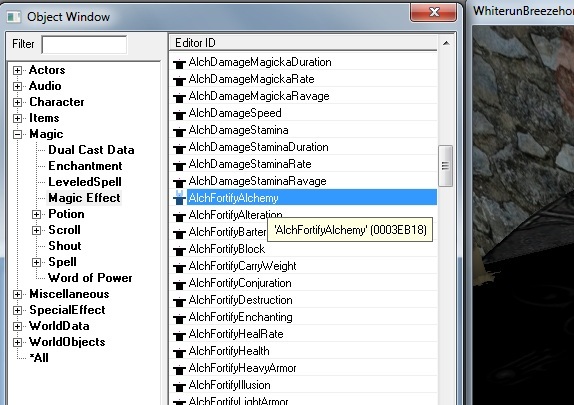 Your new perk as it shows in your magicka menu! !